DOORS OPEN AT 3:30 PM for guests to arrive to mix and mingle. INVITED GUESTS ONLY! PAINTING starts at 4:00 pm. Arrive when doors open to settle in before painting time! Please arrive before painting is scheduled to begin as our staff may not be able to catch you up on the painting. No credit will be issued if you arrive late. PRIVATE PARTIES CANCELLATION POLICY: ALL REGISTRATIONS ARE NON-REFUNDABLE. If you cancel with at least 48 hours’ notice, we may issue a store credit that can ONLY be used for a future class. 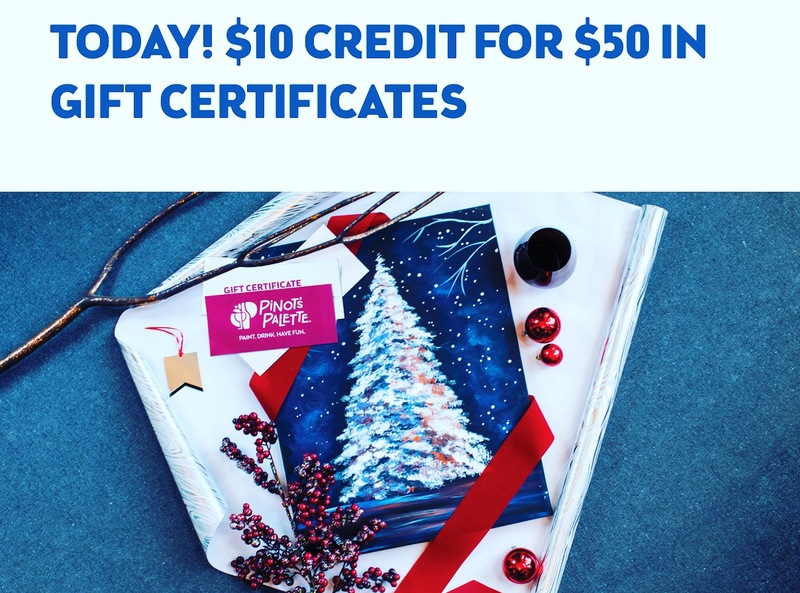 Please email us at glenmills@pinotspalette.com to cancel. If you no-show or don't give at least 48 hours’ notice, you forfeit your reservation payment. By completing the check-out process, you agree to this policy.